In its Weekly Report On Israeli Human Rights Violations in the Occupied Palestinian Territories for the week of 11– 17 August 2016, the Palestinian Center for Human Rights (PCHR) found that Israeli forces continued systematic crimes in the Occupied Palestinian Territories. A Palestinian civilian was killed while 32 others were wounded in al-Fawar refugee camp, south of Hebron. A Palestinian civilian was wounded in the eastern side of al-Bureij in the Central Gaza Strip. Israeli forces conducted 68 incursions into Palestinian communities in the West Bank and 5 in Jerusalem. 73 civilians, including 5 children, a woman and a Hamas leader, were abducted. 29 of them, including 3 children and a woman, were abducted in occupied Jerusalem. Israeli forces continued their efforts to create Jewish majority in occupied East Jerusalem. A residential room and car shop were demolished while al-Khan al-Ahmar Primary School was closed. Dozens of temporary checkpoints were established in the West Bank and others were re-established to obstruct the movement of Palestinian civilians. 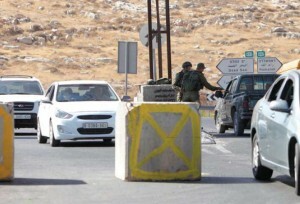 9 Palestinian civilians, including a girl and woman, were abducted at military checkpoints. Israeli forces continued to target Palestinian fishermen in the Sea. 10 fishermen were abducted and two fishing boats were confiscated in the northern Gaza Strip. On 12 August 2016, the shooting recurred at the Palestinian fishing boats sailing within the same area. During that, the Israeli forces abducted 5 fishermen, including a child, after confiscating their boat. On 15 August, a similar shooting occurred in the same area resulting in the aabduction of 5 Palestinian fishermen. They were taken to Ashdod Seaport and their boat was confiscated. After questioning them, two of the fishermen were released whole the rest 3 were still under arrest. Moreover, the boat is still in custody. In the two aforementioned shooting incidents, the two fishing boats were sailing within 4 nautical miles. Settlement activities continued in the West Bank. Two barns were demolished in Eastern Barta’ah village, west of Jenin. 3 houses were demolished behind the annexation wall in Beer ‘Awnah area, north of Beit Jala. 7 houses and a barn were demolished in Hebron in addition to an agricultural room in Nablus. Israeli forces attacked non-violent demonstrations in both the West Bank and the Gaza Strip this week. At approximately 15:00, on 12 August 2016, dozens of Palestinian young men headed to the border fence between the Gaza Strip and Israel, east of al-Burij refugee camp, in the central Gaza Strip. They threw stones at Israeli soldiers stationed behind sand barriers. The Israeli soldiers fired live bullets and tear gas canisters at the protesters. As a result, Khalid Taha Mohamed Hijazi (32) was hit with a live bullet to the left leg and then taken to al-Aqsa Hospital in Deir al-Balah to receive medical treatment. Khalid’s wounds were classified as moderate. Rubber-coated metal bullets are lethal if they hit the head of a victim from a close range. PCHR calls upon the United Nations to provide international protection to Palestinians in the Occupied Palestinian Territories, and to ensure the non-recurrence of aggression against the Occupied Palestinian Territories, especially the Gaza Strip.